History has shown that if you do not exercise a right, that right is eventually lost. Once a right is lost, it is almost impossible to get it back. Today the number one enemy of gun owners and sportsmen is not the anti-gun lobby, but fellow gun owners who are apathetic about their rights. There are only a handful of anti-gun activists in the country. The only reason they have any voice at all in the debate is that millions of gun owners are silent. Well-intentioned but ill-informed politicians will listen to whoever is talking. And when they only hear the anti-gun voices, that's the direction that the law follows. 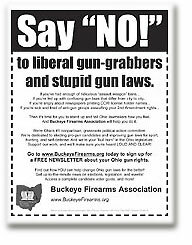 Buckeye Firearms Association was founded by a small group of ordinary citizens who were tired of seeing their rights in Ohio slowly erode because of the silence of gun owners. With no corporate funding, no big-time donors, and no partisan political agenda, these citizens began speaking up. And more importantly, they began to ACT. Volunteer action is the key to getting things done! Over 225 years after the signing of the Declaration of Independence, grassroots activism is the still the key to changing politics in America. Consider what the sponsor of concealed carry, Rep. Jim Aslanides, said about grassroots efforts: "The grass-roots effort, I would say, is the most important effort in the legislature because that causes representatives to be delegates of their district. They are hearing the call of the people back home." Here's what the most anti-gun Representative, Rep. Ed Jerse, said: "I think that people are more influenced by the grassroots mobilization the fear that the group is going to target them in a race. It's very much a wedge issue, it's a swing issue, it's an issue that can influence the swing voters." 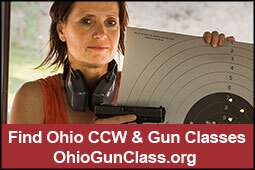 Volunteer action is what lead to passage of the concealed carry law in Ohio. But there are many other issues that effect law-abiding citizens in Ohio which need to be addressed. So what can YOU do to help? 1) Make a donation! We need to distribute voter guides and literature, do mailings, make donations to political campaigns, and more. And our only source of revenue is YOU. 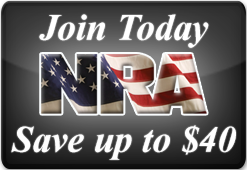 100% of every penny you give goes directly to fighting for greater gun rights in Ohio. Not a penny is wasted on salaries or office overhead. We're all volunteers here, including all of our leaders. CLICK HERE to make a donation now! 2) Volunteer a little of your time! We have lots of things that need done, especially when an election is coming up. You can do as much or as little as you like, but please do SOMETHING! CLICK HERE to volunteer now! 3) Get informed! A citizen who values his rights is a person who stays well-informed about those who would protect these rights, and those who would seek to take them away. 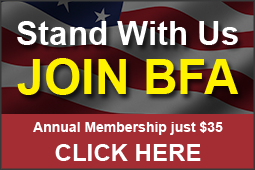 Read BFA's "How to be an Effective Volunteer"
4) Contact your legislators! They must hear that changes to the law are needed. As you experience difficulties with day-to-day exercise of your Constitutional right to keep and bear arms under current law, take notes! Tell your legislators! They DO listen. Telephone communications are preferred over email. Click here to access House & Senate phone numbers. Click here to email your State Representatives & Senators. 5) Express your wish for better nominees. 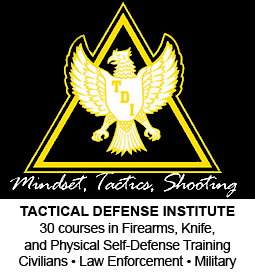 We need parties to nominate candidates who truly support the human right to self-defense. Click on the links below to contact the leadership of your party. 6) VOTE! The deadline to be registered in order to vote in the next election is 30 days prior to Election Day. Click here to request an online Voter Registration form. Need to know where to go vote? Not sure if you're registered? Only your county board of elections has information regarding the location of your polling place and your voter registration status. You must call your county board of elections, or go online to your board of election's website. 7) Spread the word! A grassroots organization can only be as influential as the individuals who support it want it to be. We need your help so that this organization make a difference in Columbus and beyond. Please click on this image to visit the literature section of our Grassroots Guide, where you can download pieces of literature and e-mail them to pro-gun friends or print copies and distribute them to gun shops, clubs, shows, etc.